Now that Ella is in a part-time kindergarten program, I find myself trying to come up with little ways to make her day a little bit more special, since we are no longer spending those days doing fun activities and following her interests. 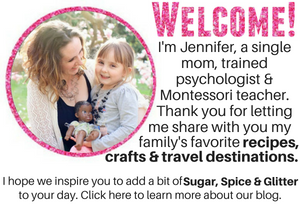 Part of that is really slowing down and connecting on the days that she is home, and part of that is packing fun lunches and having special treats ready for her when she gets home – from art invitations to quick after-school snacks that satisfy her foodie side. 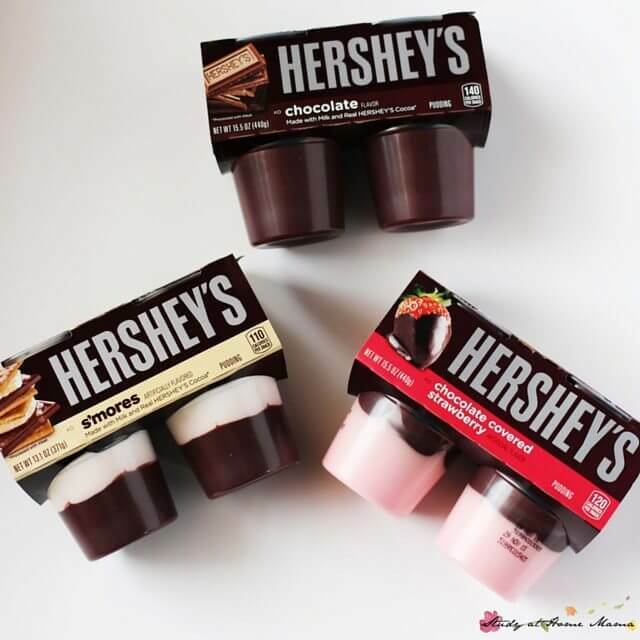 I clipped some $0.55 off coupons for Hershey’s Ready to Eat Pudding from the September/October issue of ALL YOU Magazine, thinking that would be a delicious option – but I had no idea what I was in for when I got to Walmart. 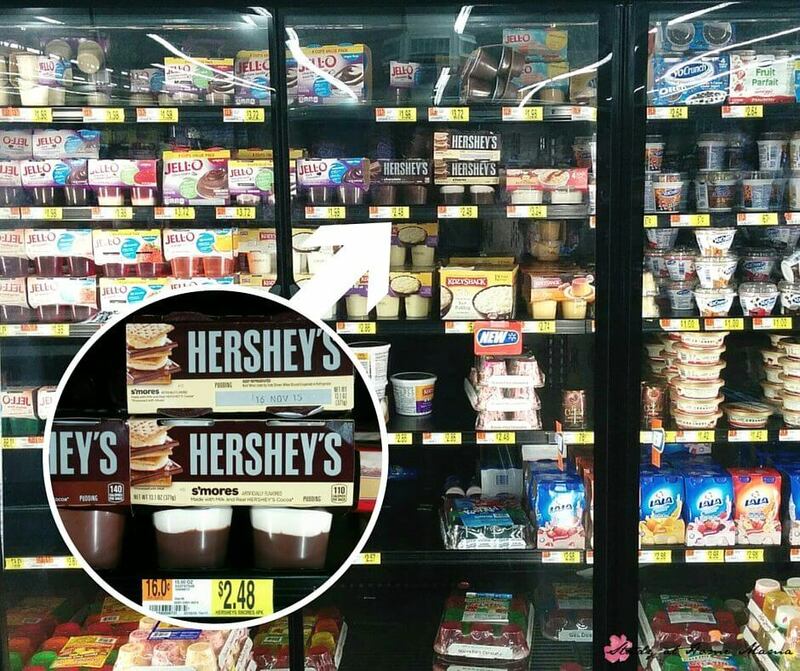 Right there, beside the individual tubs of yogurt… S’mores Pudding! Now, if you’re a regular reader, you know that we love our S’mores recipes in this house! 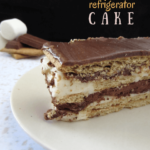 From our 10-minutes S’mores Refrigerator Cake to our Red Velvet S’mores Cupcakes, I love fun twists on traditional s’mores. Of course, Ella (and most kids) would just be happy to come home and find one of these pudding cups waiting for her, but I wanted to have some fun experimenting. 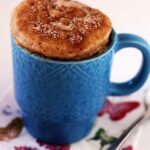 The results were three fun twists on one-minute mug cakes, each with a unique and delicious pudding center and fun toppings! These recipes were a bit of trial and error on my part – I actually caused a small cake eruption with my first attempt! 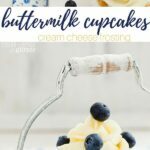 The best and most foolproof method involves making the cake batter in a separate container, adding half to the mug, cooking it for 30-45 seconds, then adding the pudding layer and second half of cake batter, and cooking for another 30-45 seconds. 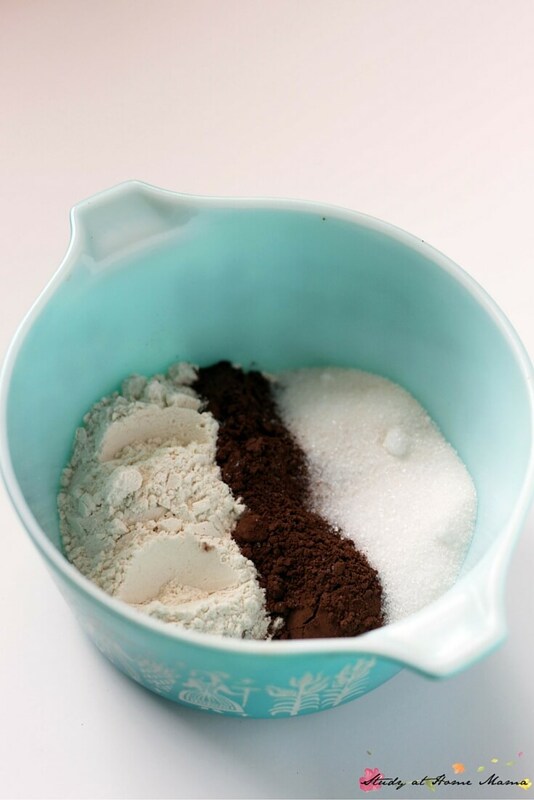 Mix the dry ingredients first, makings sure to really thoroughly mix and incorporate each ingredient and break up any clumps. With such a quick cooking time, this is really important so you don’t get a big clump of powder in your one-minute mug cake. Add approximately half of the mixture to your mug and cook in the microwave for 30-45 seconds until the top appears cooked and is not wet to the touch. I love how the pudding works it’s way up and creates a small tunnel in the center of the cake – ensuring that you get a bit of pudding and cake on the spoon at the same time, from the first bite. 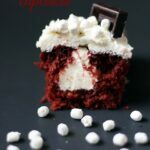 Soft and fluffy cake mixed with warm, chocolate pudding and smooth marshmallow cream. 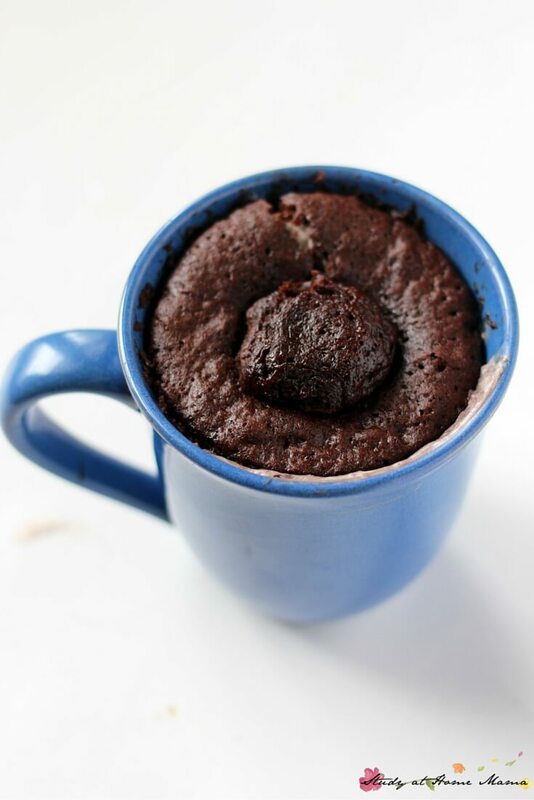 Now, this one-minute lava mug cake is delicious as-is, but because I was experimenting with three different lava mug cake flavours, I wanted to indicate what type of pudding center each one contained by customizing the toppings. 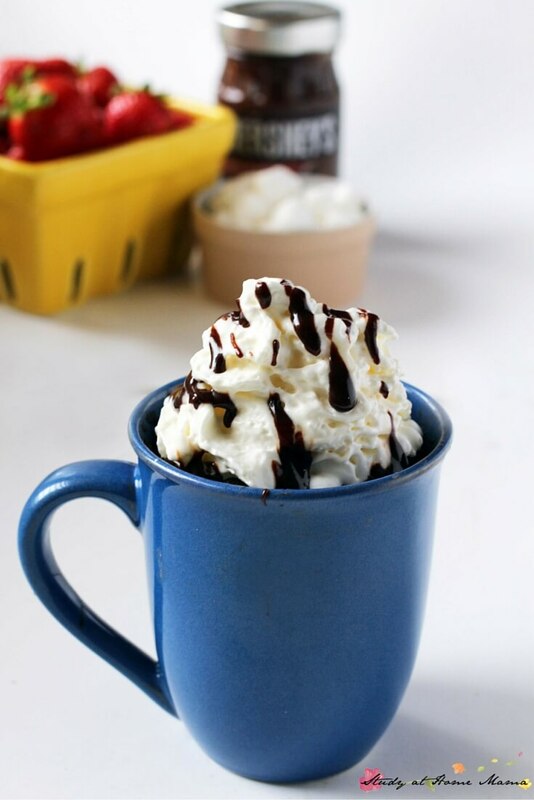 I added a generous dollop of whipped cream to the s’mores mug cake (alternatively, my homemade marshmallow cream would be delicious – just not quite as quick). Followed by a drizzle of Hershey’s hot fudge sundae topping, and some cute mini-marshmallows. 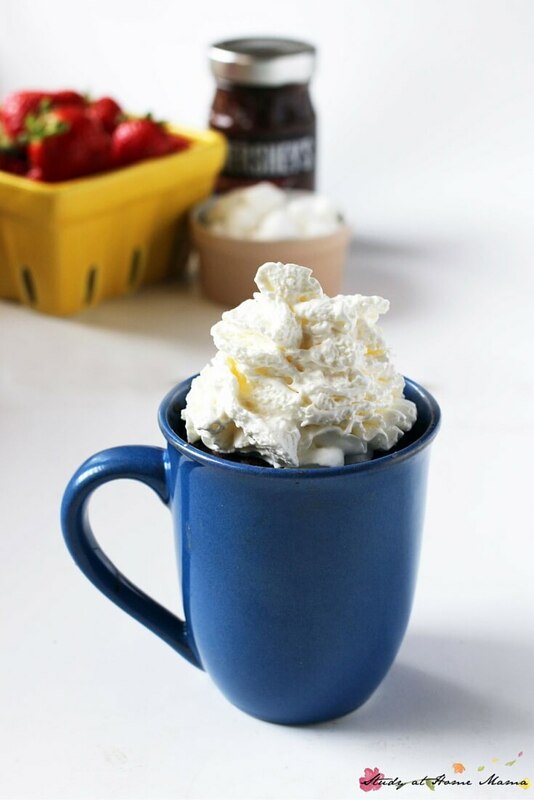 I love that the one-minute s’mores lava mug cake looks just like a cup of yummy hot chocolate, but is actually a mini-cake waiting to surprise a lucky person! The next flavour I experimented with was the chocolate-covered strawberry pudding. These are probably Ella’s favourite out of the three that I purchased. I made this lava mug-cake the exact same way as the s’mores lava cake, just using the chocolate-covered strawberry pudding instead of the s’mores pudding in the center. Doesn’t that just look amazing?! 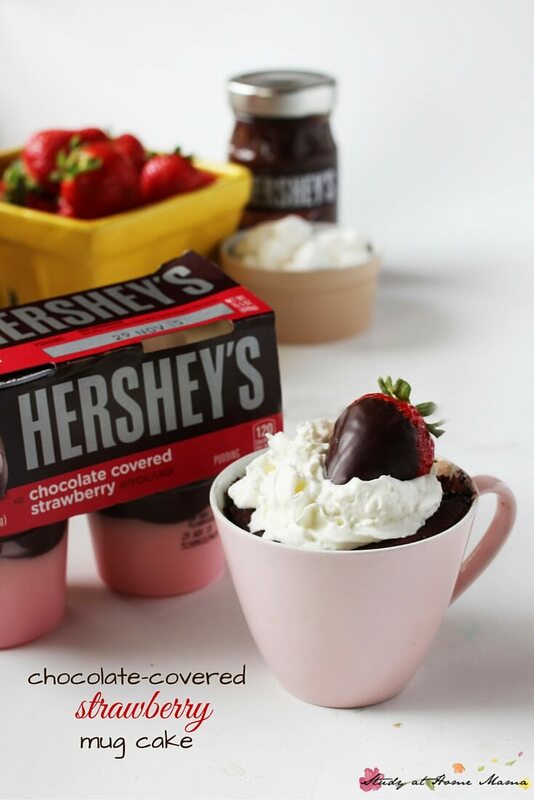 Of course, I had to top the chocolate-covered strawberry mug cake with it’s namesake (and a bit of whipped cream). 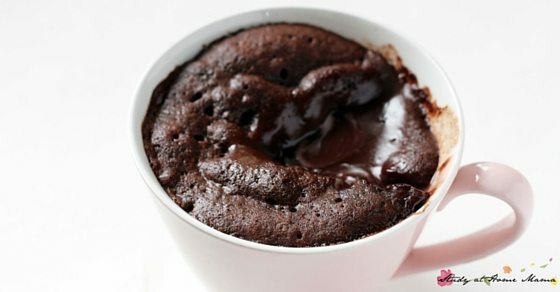 These one-minute lava mug cakes are an amazing and decadent dessert or afternoon treat, with or without those customized toppings. 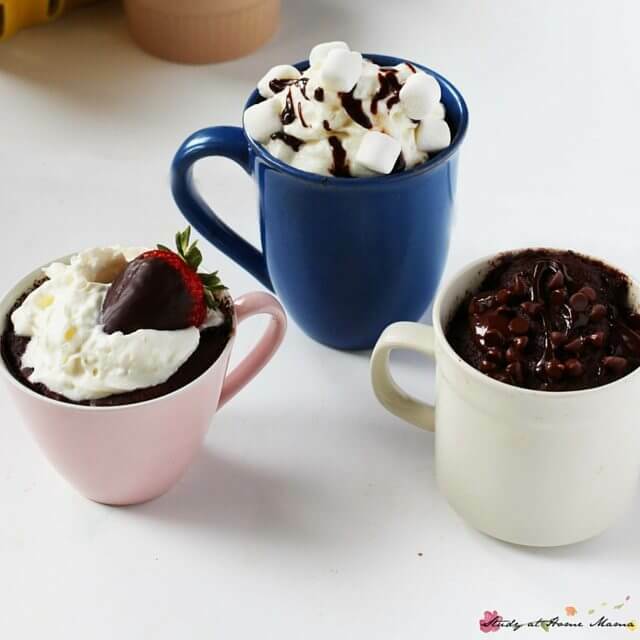 The below recipe is for an adult-sized portion (as shown for the S’mores Mug Cake in the blue mug) but it can be easily halved for a smaller version more suitable for kids (as shown for the Chocolate-Covered Strawberry Mug Cake in the pink teacup). I’ve included measurements for both. Stir dry ingredients thoroughly, breaking up any clumps. Add the wet ingredients, mix thoroughly to incorporate. Add half of the batter to your serving mug. Microwave for 30-45 seconds until dry in appearance or to the touch. Add your pudding cup on top of the microwaved cake, and top with the remaining cake batter. 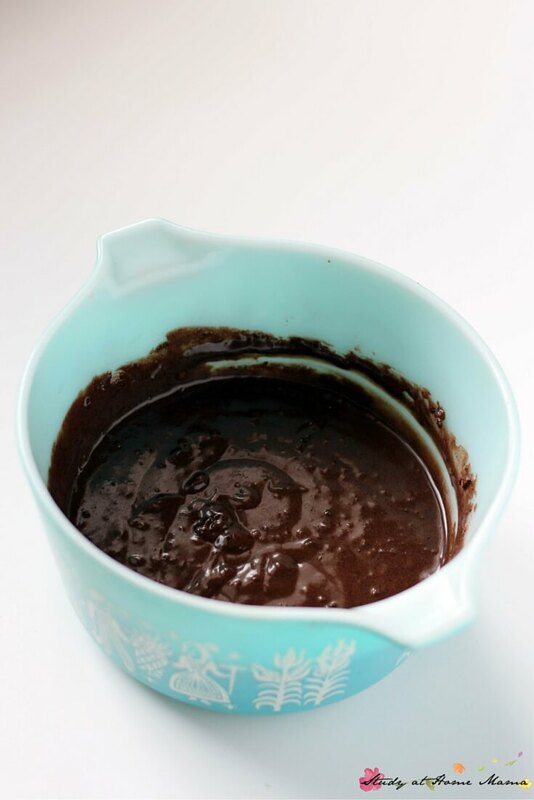 Microwave for another 30-45 seconds until the top layer of cake batter is cooked and dry to the touch. The pudding will want to rise and might bubble out of the top of the cake depending on your microwave, so pay attention to this stage. 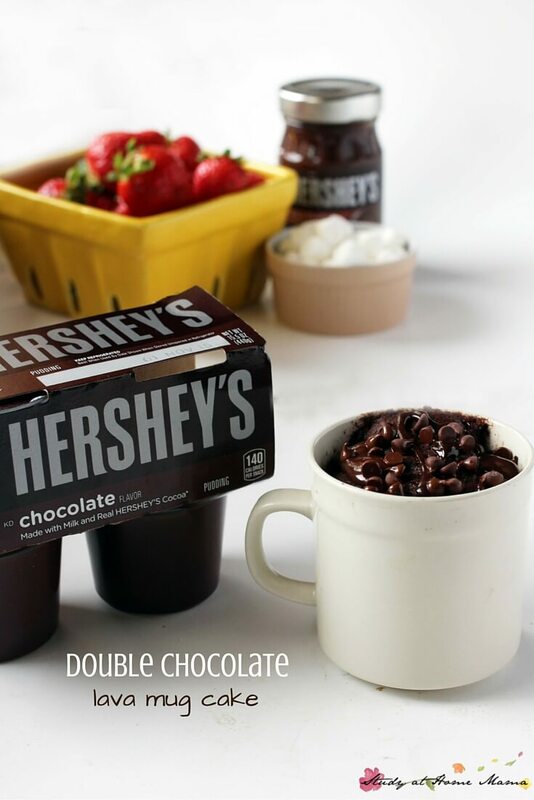 Remove from microwave and allow to cool before adding your desired toppings and enjoying! 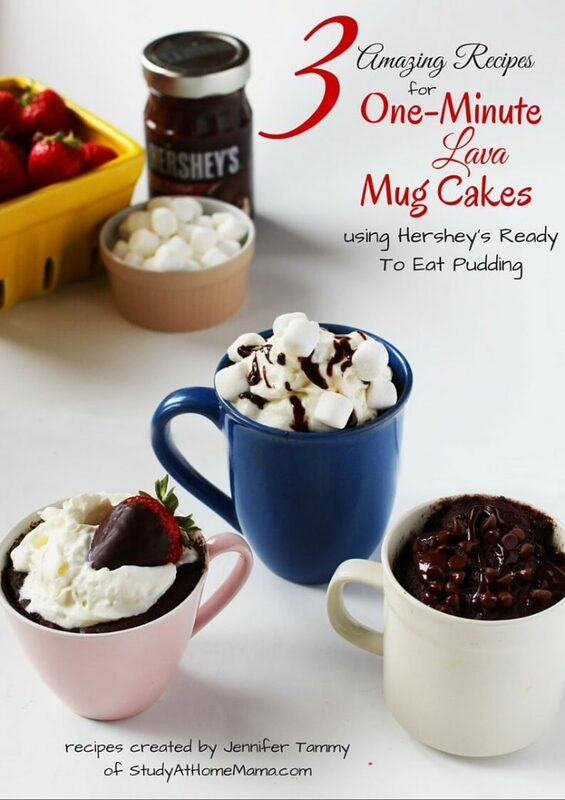 As a special bonus treat for you, I’ve created a free mini-ebook containing all three recipes — click the image above or this text link to download 3 Amazing Recipes for One-Minute Lava Cakes using Hershey’s Ready to Eat Pudding. I leave you with a final parting shot of my favourite one-minute lava mug cake – the S’mores Lava Mug Cake. 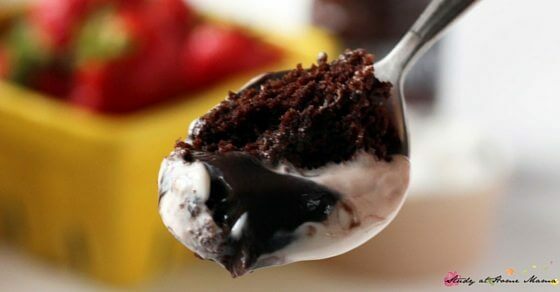 Perfection in a spoonful! 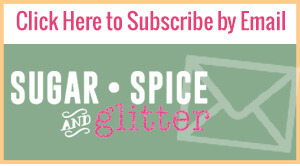 Check out other fun Kraft recipes here and make sure to pin this recipe for later (although I really think you should make it right now) and consider subscribing to my newsletter for more easy recipes, parenting inspiration, and hands-on learning ideas. okay, seriously! These look so good I want to make them right now, at 8:00 in the morning, for breakfast! With lots of whip cream! I love mug cakes!! Thanks for all the new recipes, I need to try them out ASAP!! Oh these look amazing and delicious and I want one now! I definitely pinned it to my dessert board so I can whip it up when a bit of time presents itself! Ok.. Ok.. This has my attention. Look at all that chocolate. I so want to make this, like now. Looks so yummy! I like the simplicity of making this delicious dessert because the kids can join in and help create their own. Also if you have a sweet tooth, this is a great quick fix. Oh yum. I love this idea. This would be a really fun dessert to whip up as an after dinner treat. I just pinned this because some times at night I have such a strong chocolate craving and I would just love a little sweet treat. Diet be damned, right?!? S’mores anything is my weakness. I love it all. So the S’mores lava cake is right up my alley. It is only made better by the fact that I can enjoy it in just a couple minutes. 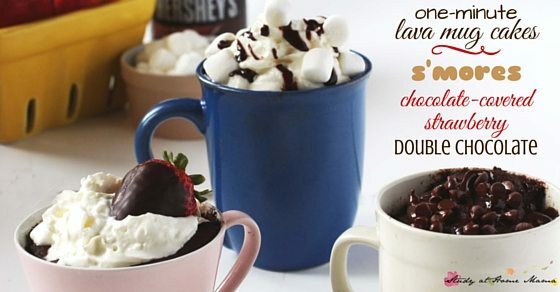 I’ve seen these mug cakes around for a while, but I’ve never tried them. After looking at your beautiful photos and seeing all 3 yummy cakes, I don’t know which one to make first. Guess I’ll have to make them all. Yum! 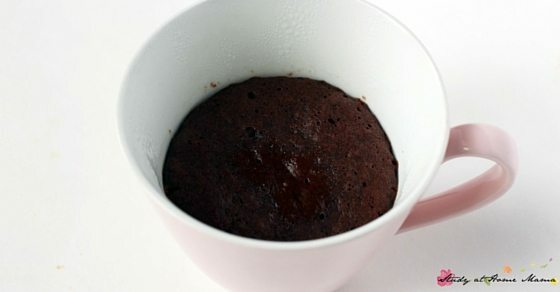 I’m definitely going to try these 1 minute lava mug cakes! 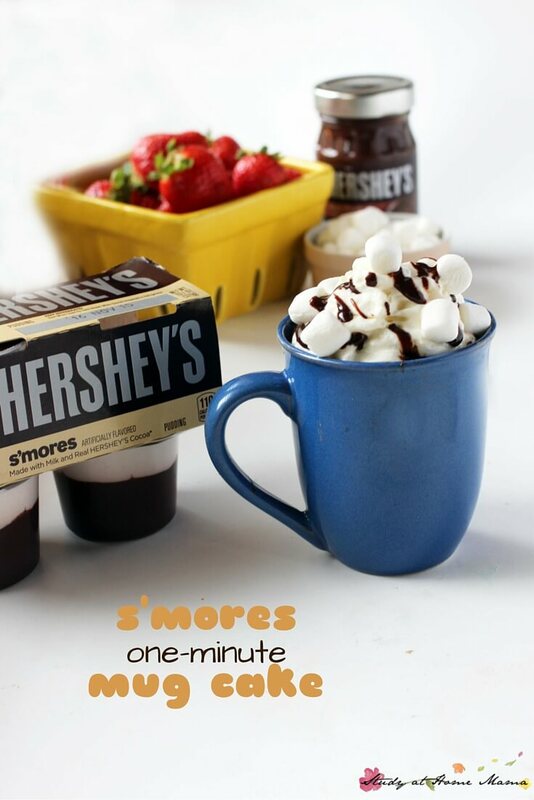 I know my kiddos would love to come home to the s’mores version after a long day at school What a yummy treat! The S’mores sound sooo good. this is such a fun treat! How amazing! these look so good. 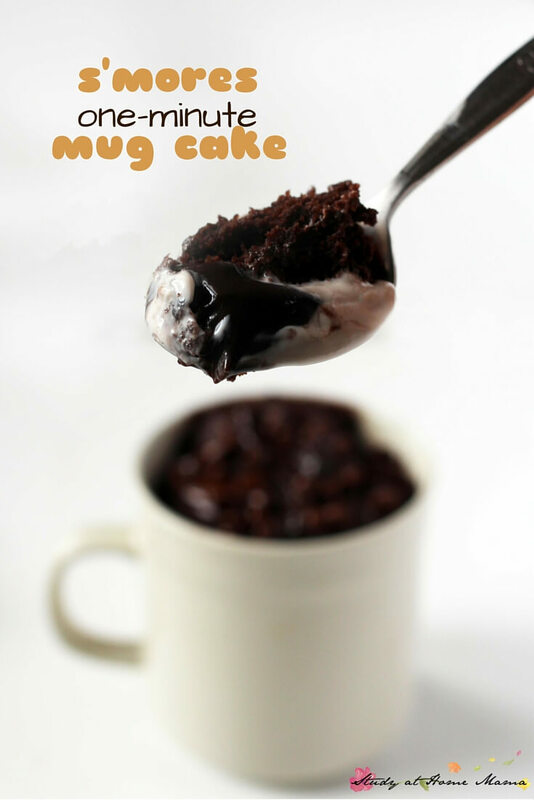 Ive never made these mug cakes before but I am dying to try! Oh my gosh, seriously, I couldn’t even wait to finish reading this post, I just jumped immediately to see if I have everything to make this right now! Looks a-ma-zing! You are BAD! A very very bad girl. A very, very, very bad influence! ~sniff-sniff~ You entice us with all these goodies. ~sniff-sniff~ and I must look away…. I just started Jenny Craig today and you show me this????? Well, have one for me is all I can say! I refuse to give in!! !